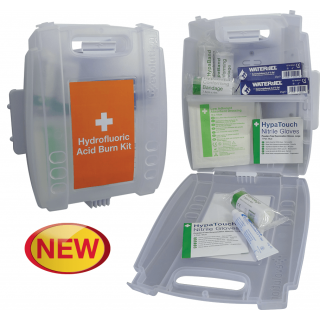 The Hydrofluoric Acid Burn Kit provides supplies for dealing with hydrofluoric acid skin burns. 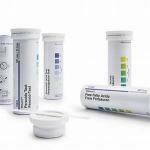 The kit includes calcium gluconate gel helping to relieve pain and heal the burn, reducing the risk of hypocalcaemia. The kit is supplied in an Evolution case with a quick release wall mounting bracket, meaning the kit can be safely stored on the wall in a visible location and quickly removed to be taken to a casualty. ■ Essential supplies for dealing with hydrofluoric acid skin burns. ■ Includes Calcium Gluconate Gel for fast treatment and pain relief. ■ Dressings and bandages protect burns from infection whilst enroute to hospital. ■ Supplied in an Evolution case with quick release wall mounting bracket.